I AM a self-confessed action genre lover, be it books or movies, and Velocity certainly satisfied my need for a good edge-of-my seat read. Velocity is a high octane thrill ride which takes you from NASA's Cape Canaveral to the Central Australian desert. Judson (Judd) Bell is a astronaut who has lost his mojo, and is desperately in love with fellow astronaut and girlfriend Rhonda Jacolby. When the spaceship Rhonda is on board is hijacked, Judd knows he has to "man up" and save her and the world from certain doom. As with any good action novel, Worland ensured the tension is broken by some great comedic moments. It is Judd's reluctant sidekick Australian chopper pilot and oddball Corey Purchase and his loyal dog Spike who provide this relief. 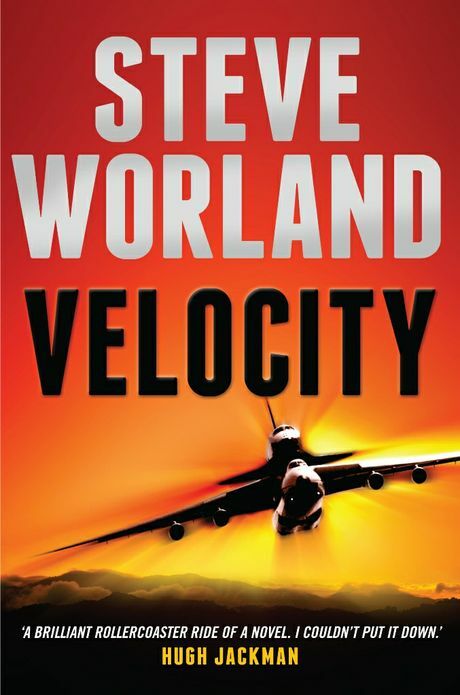 Velocity is screenwriter Steve Worland's debut thriller and if it is a taste of what is to come from the talented author he is sure to be one I'll follow with relish.